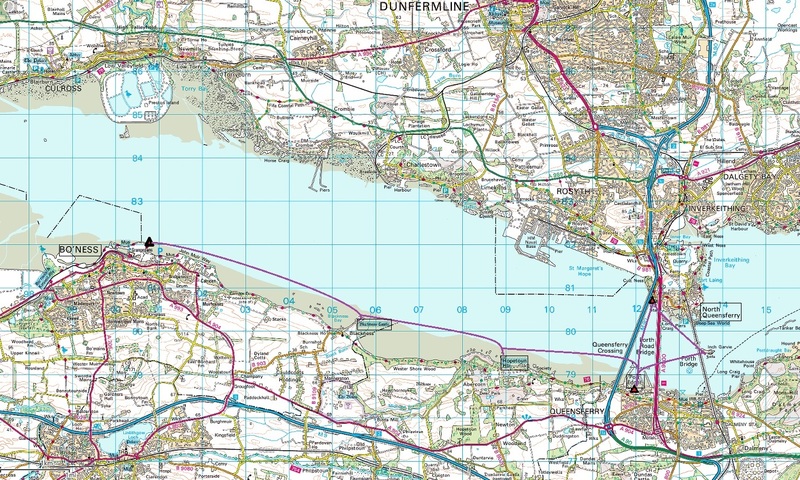 It seemed like a good idea; sunshine forecast in the East, tide running west to east in morning, east to west after lunch and points of interest; Boness, Blackness Castle, Hopetoun House, the Three Bridges and the new aircraft carrier being assembled at Rosyth. The reality was Mud, More Mud and enough clapotis to worry. We assembled at 08:30 and were away by 8:45 for the 1.5 hr drive. 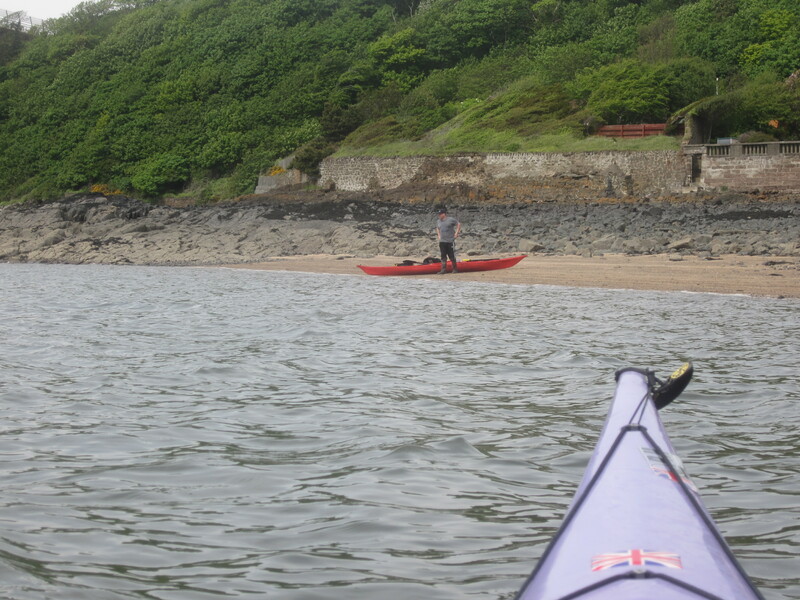 Our first delay was finding the sea at Boness but eventually we found, behind some factories, an excellent parking spot by the yacht club with a broad slip adjacent. 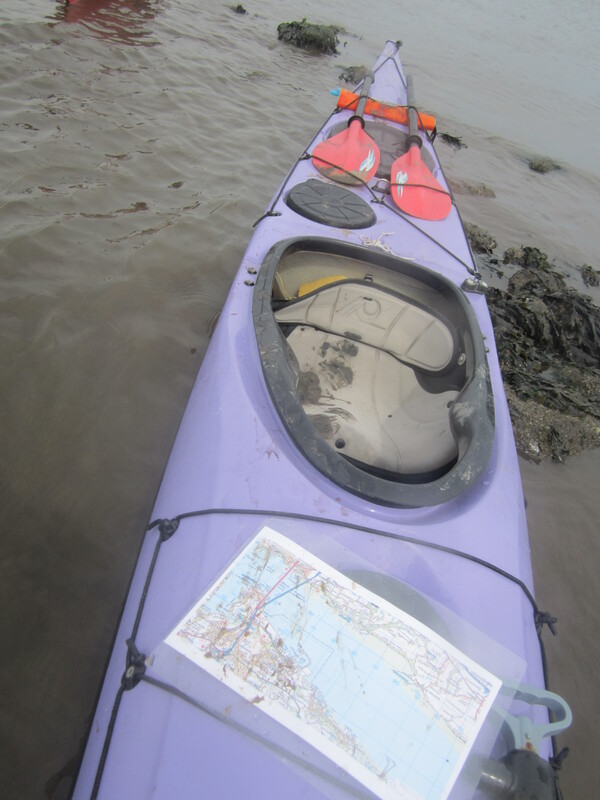 Sadly the delays meant the water was already receding leaving 50m of glutinous, smelly mud between the end of the slip and the water. 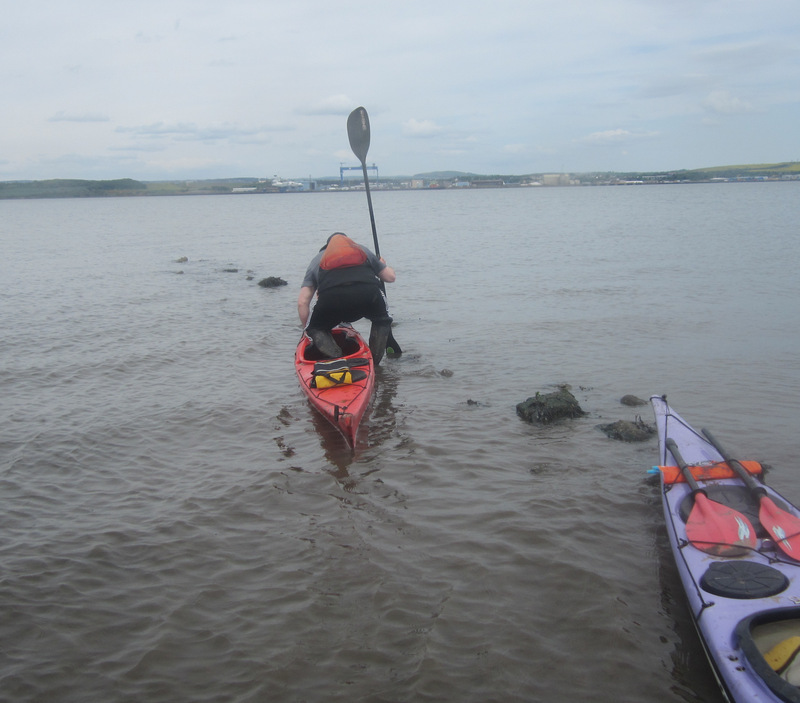 A test revealed a capacity to absorb boots, indeed potentially bodies, so we were forced to carry the loaded boats around a rough seaweed strewn, rocky beach for 800m to the water. Even here the mud led to an unpleasant departure. 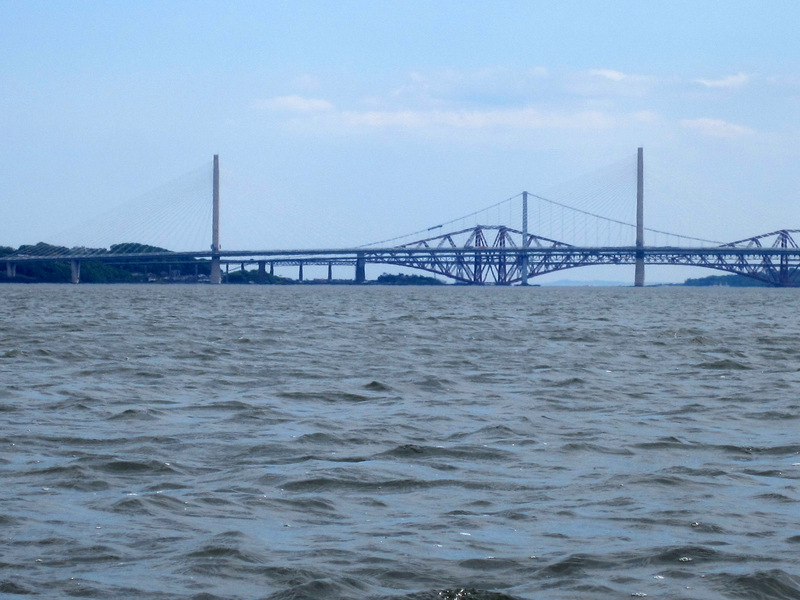 The paddle down the Forth was pleasant if uninspiring. 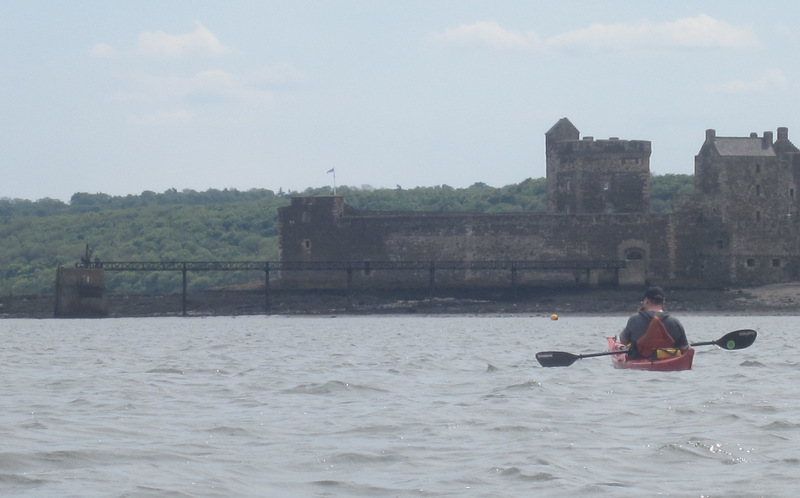 The mud made any investigation of the Roman port unattractive and even a visit to the majestic Blackness Castle was ruled out because of it. At Hopetoun we hoped to have lunch and a “hard” beach was only 10m from the water’s edge. Tim got out and suggested it was solid enough but this proved to be Fake News. Thirty amusing minutes of sinking in an oily quicksand, falling over into the water as boots got repeatedly stuck and generally getting boats, clothes and persons coated in mud followed. Sadly the water was so filthy it could not be used to wash off the mud. The retreat was sounded. Mud; on paddles, on seat, in cockpit, on trousers, on arms and legs. On then to a promised broad concrete slip at Port Edgar, beneath the bridges. Colin’s staked reputation was shattered as we found 1m of mud between water and end of slip and evidence that it was as disgusting as that we had already experienced. 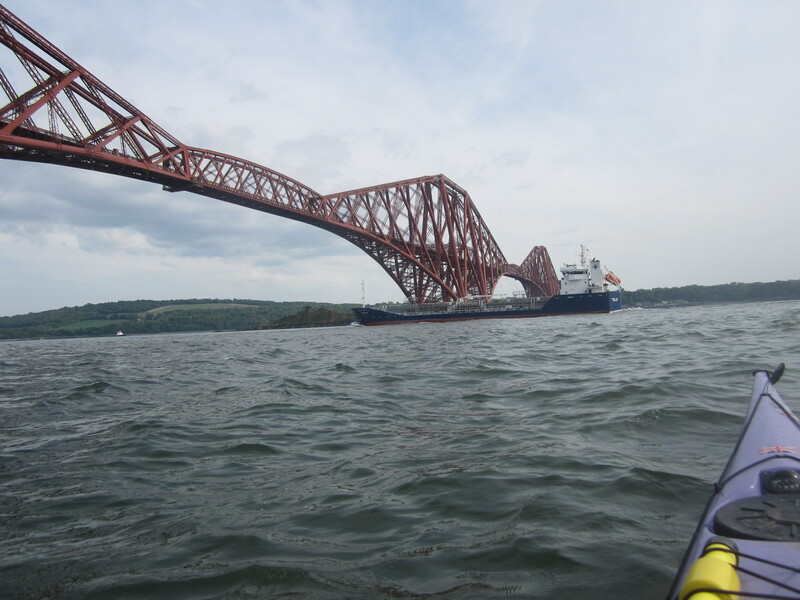 So we decided to cross the Forth to a potentially hard landing at North Queensferry. Beneath the bridges the tide swirls around the rocks and bridge footings which causes some worrying quite rough water. The beach however was excellent being fine-grained sand. On the beach the thickest mud was removed, the long-delayed lunch was partaken and the sun came out. 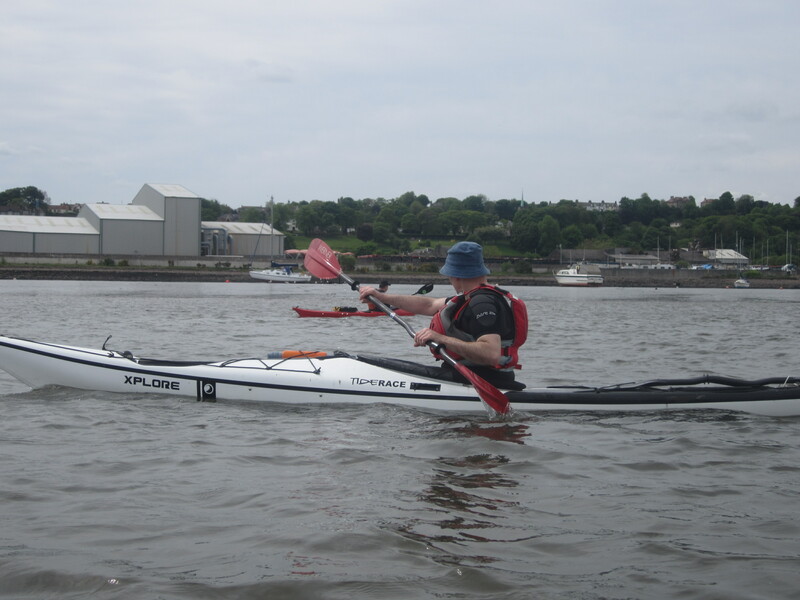 By this time an alternative plan to return to Port Edgar as the tide got up to the slip and then use a Taxi to get the car at Boness was adopted. 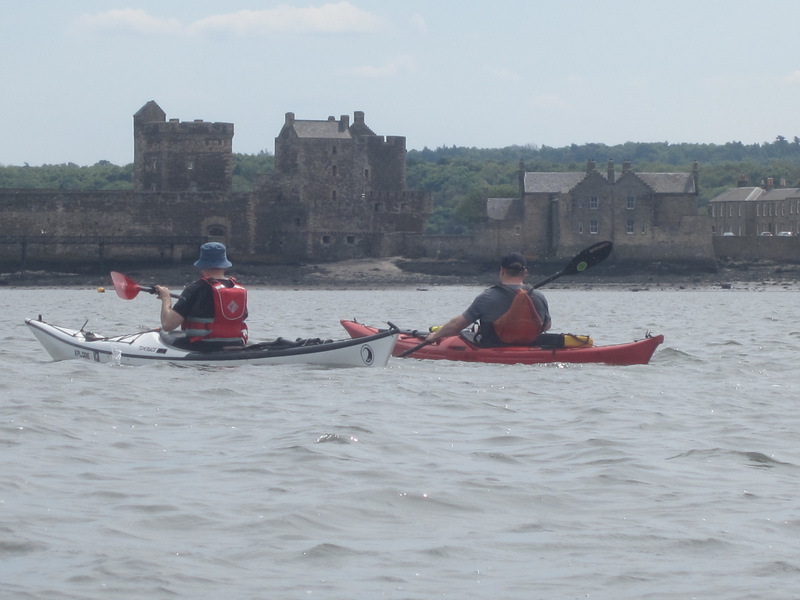 The plan was to paddle back via the rail bridge and the South Queensferry slip but the turbulence was so worrying to one of our team that he made a beeline direct to Port Edgar without having a look at the fort at Inch Garvie. He did not miss much. Back on shore the alternative plan was enacted, the car was collected (it is a surprisingly long way from Queensferry to Boness in a taxi) and we got home just after seven. 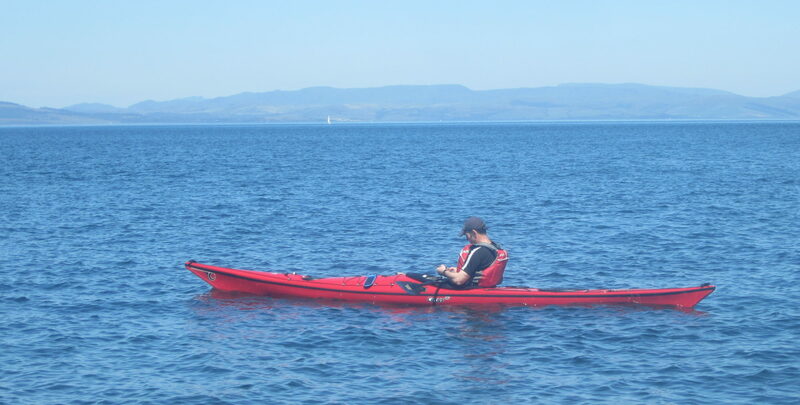 A memorable day of around 20km but the Upper Forth is not recommended as a paddling destination except for hippopotami.